This week, Microsoft Research publishes prototype designs for mobile Xbox controllers, Red Dead Redemption 2 breaks records, and a British technology site faces possible litigation from Take-Two Interactive. 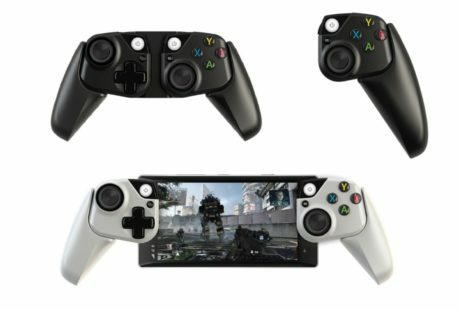 Microsoft Research recently published prototype Xbox controller designs for phones and tablets that would likely accompany their game streaming service, Project XCloud. The design in question looks like a variation of the typical Xbox controller, except the game pad and grips can be detached and customized based on what device you are using to stream games. Windows Central and Destructoid point out that the research dates back to 2014, and has likely been resurfaced due to the success of the Nintendo Switch, which proved that there is a huge market for mobile gaming outside of smaller-scale iOS and Android games. IGN noted that it’s unclear whether Microsoft ever intends to bring the controller to market, or if it is “simply some practical research that will remain in the testing stage.” TechRadar posited that we could be seeing the release of this controller sooner than one might expect, as public trials for Project XCloud begin in 2019. The massive success of Red Dead Redemption 2’s launch caught the eyes of mainstream, entertainment, and financial publications everywhere this week. Fortune reported that the game made more than $750 million in just three days, and noted that its massive sales figures will set a huge foundational player base for the upcoming Red Dead Online. Engadget, Quartz, and The Hollywood Reporter noted that the only entertainment property to ever exceed that amount in the same time frame was another Rockstar franchise release, Grand Theft Auto V. Variety observed that the only movie to ever come close to the fiscal success of Red Dead Redemption’s first three days was “Avengers: Infinity Wars,” grossing $640 million in its opening weekend. The game was a critical smash hit as well, topping Metacritic’s all-time highest rated games list for both Xbox One and PS4.